Fashion Mumblr 2014 Blog Survey & Giveaway! For 2015, I’d like to know your thoughts on what you’d like to see on Fashion Mumblr, so that I can make sure that I’m making the blog as good as it possibly can be! So I’ve created a short (3 minutes!) survey to get some feedback. 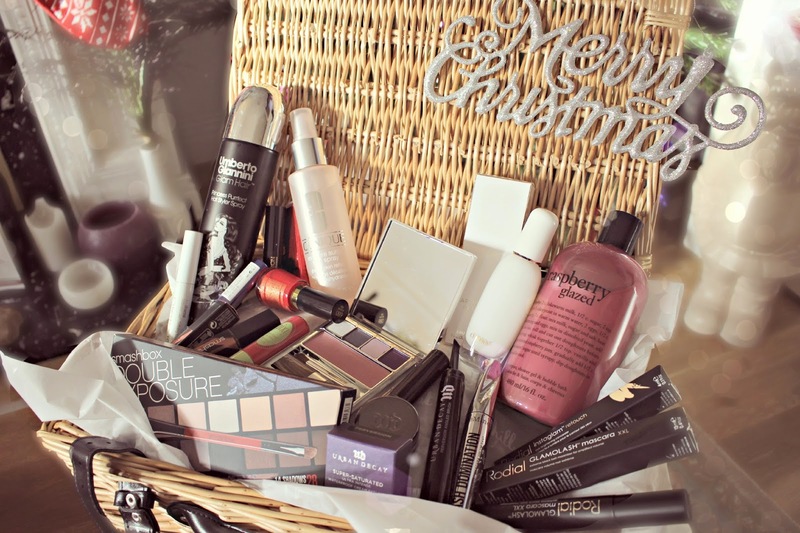 To say a big thank you for your time, i’ve combined this with a massive end of year giveaway, and the prize is a huge Beauty Hamper, so you could win over £300 worth of my favourite beauty goodies! Please note, that for postage reasons I won’t be sending the wicker basket in the image!